This truly impressive display is a sure fire way to amaze your recipient with your love! 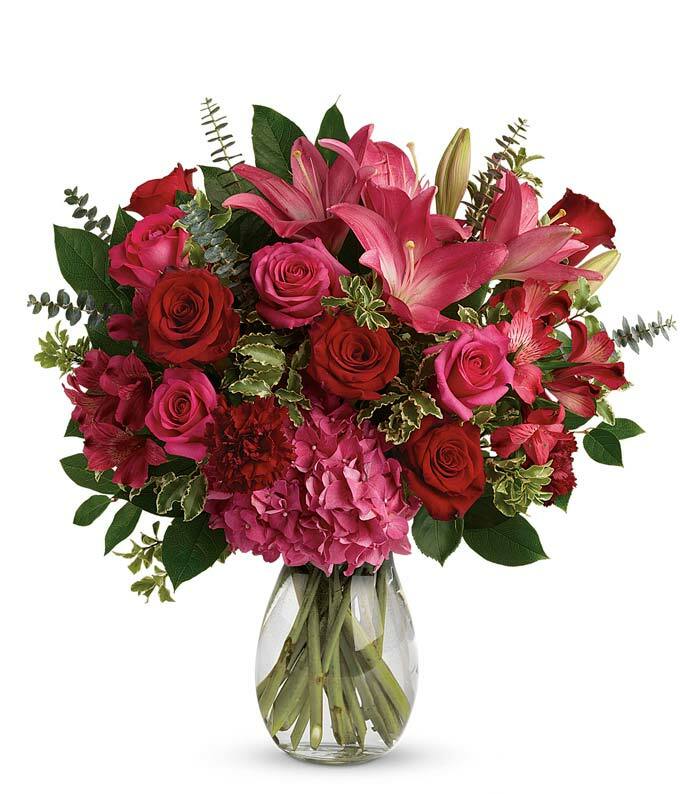 The gentle variation in pinks and reds is reminiscent of Valentines hearts and will easily evoke feelings of adoration. Approximate arrangement Height 17", Length 18"